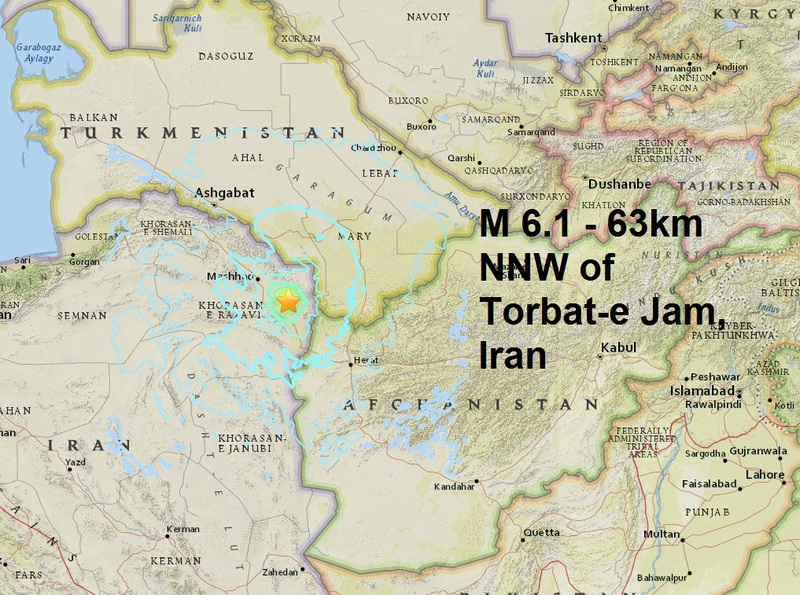 A shallow magnitude 6.1 struck Iran this morning. 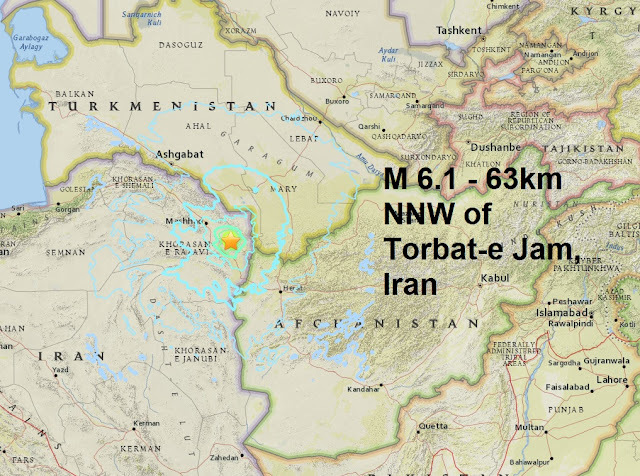 Recent earthquakes in this area have caused secondary hazards such as landslides that could contributed to losses. So far today we have had 49 earthquakes, 48 of them less than mag 6, we have had 324 quakes this week 322 less than a mag 6.